The Throne Teasers April 2019 – Upcoming e.tv drama series ‘The Throne’ teasers, previews, updates, episodes, highlights and spoilers for April 2019. Lerole breaks Queen Mosadi’s heart. Sephiri and the Royal Council are determined to sabotage Queen Mosadi and Lerole’s relationship. Maswabi and Lerole start making moves on convincing Tumelo to take this internationally. Queen Mosadi is worried as she still cannot get a hold of Lerole. After learning that Sephiri is responsible for getting Lerole beaten up, she kicks her out of the royal house and off the royal council. The Healer tells Queen Mosadi the dangers of going against tradition. The Queen gives Matshidiso an important role. The Queen has an announcement for the people of Kweneng. Queen Mosadi and Lerole throw the palace into a tizzy. The gardening project has Lazarus and Maswabi working overtime. Queen Mosadi’s love affair with Lerole has more people gunning for her. Queen Mosadi’s affair with Lerole is causing tensions to rise in Kweneng. Goitseone’s suspicions about his father’s project with Tumelo continue to grow. Queen Mosadi is now letting anyone interfere with her happiness and relationship with Lerole. Meanwhile, Maswabi and Odirile fuel rumours about the Queen’s affair to the Kweneng community. More people join the fight against Queen Mosadi’s love life. A new project sets Kweneng abuzz with excitement. Odirile and Maswabi’s scheming promises to ruin lives and destroy harmony in Kweneng. 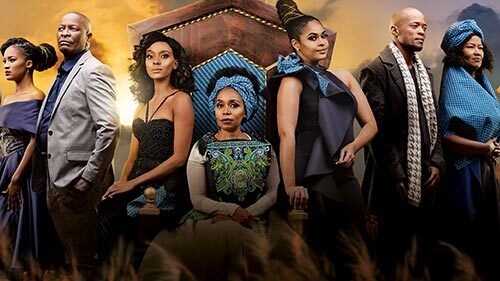 The Throne airs on Mzansi Magic from Mondays to Thursdays at 19h00.